I am glad to see you giving the health of your website some thought! Google search console will give you some great tools to both monitor and optimize your website. I will go over some of those tools in an upcoming post. 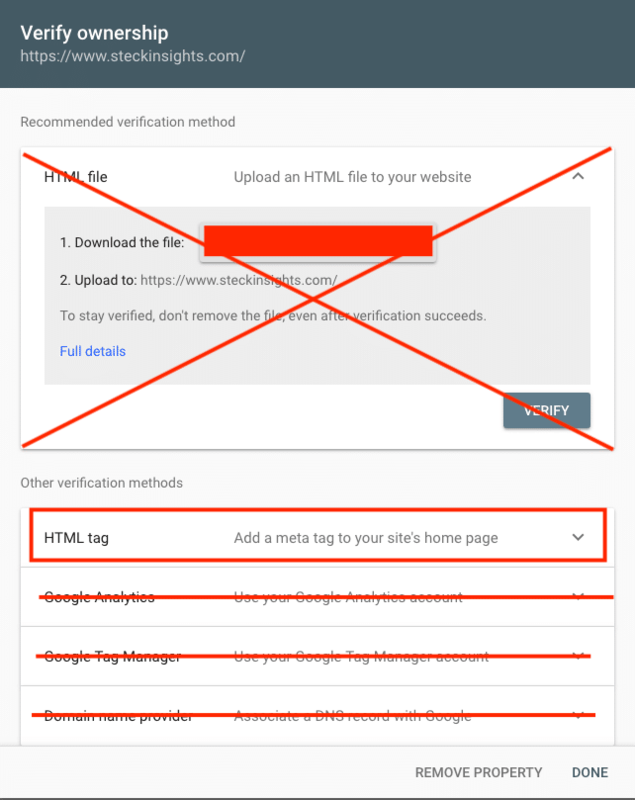 After you verify your WordPress site with Google Search Console, be sure to check out my post on How to Verify Bing Webmasters Tools. Now let’s add you site to Google Search Console! Login to the backend of your WordPress website and hover over Plugins on the left side. Then click “Add New”. On the right side, you will see a search bar, type Yoast SEO in the search bar. Then click on “Install” (mine says “Update Now” but for you, it will say “Install”). 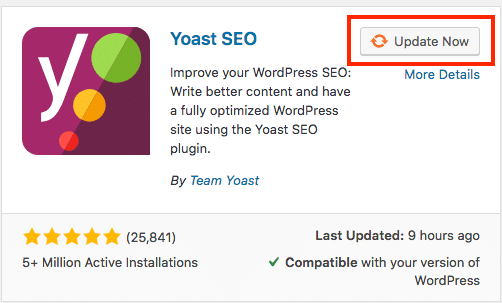 Once installed you can go through the configuration wizard and set up Yoast SEO. You can do that later, but for setting up Google Search Console just having it installed is enough for now. 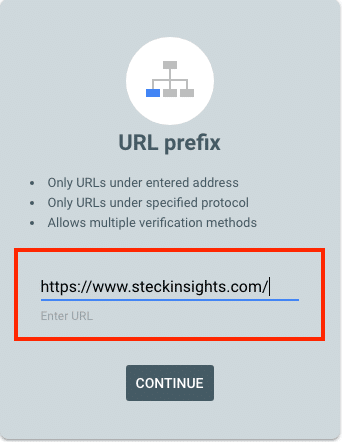 Head on over to Google Search Console and enter the URL of your website into the URL prefix option then click “Continue”. Ignore the top option and click on the HTML tag dropdown arrow. 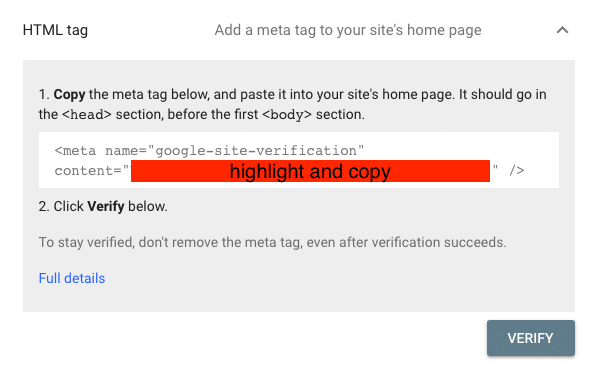 Highlight and copy the meta tag within the quotation marks. See the screenshot below (you will be highlighting the portion in red). Don’t click verify just yet, it is the last step of the process. 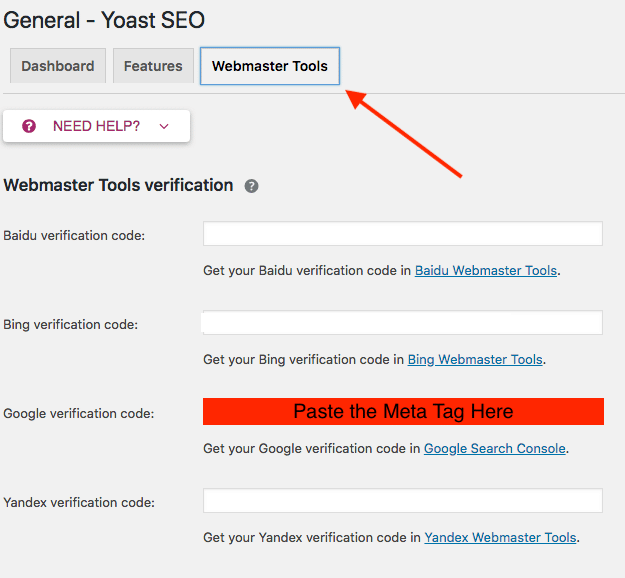 Head back to your website’s dashboard and on the left hover over Yoast SEO and click “General”. 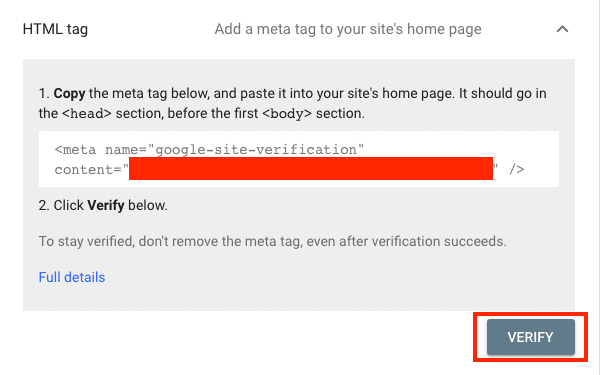 Click on the “Webmaster Tools” tab and then paste the meta tag from step 5 into the Google Verification Code in Yoast and click “Save Changes”. Head back to your Google Search Console and click “Verify”. That is it, you have now figured out how to add your WordPress site to Google Search Console. You should be proud of yourself! You have taken a big step in monitoring the health of your website. I encourage you to keep learning and improving your WordPress website. Lastly, I hope you found this post to be both helpful and simple to follow. If you need any help with SEO or Web Design let us know! Steck Insights is a team of 8 all based in the US. We pride ourselves on our communication skills and our ability to hit deadlines.